SCP Agency has increased website traffic for multiple franchise dealerships by improving their social media presence on multiple platforms. 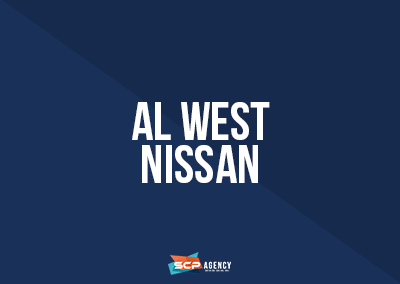 Specifically, SCP Agency worked closely with Al West Nissan and increased website referrals from Facebook by over 3,000% over a 7 month period. The dramatic increase in social network referrals can be attributed to an improvement on Al West’s social media presence on Facebook. This was done by developing a detailed social media strategy and targeting in-market customers with Facebook ads and monthly e-mail campaigns.